Vitamix blenders are built to last. Regardless of the property – from bars and restaurants to hospitality and institutional – Vitamix products allow users to maximize uptime and save money over the life of the machine. Simply put, they’re known as “the most powerful and reliable” blenders in the industry. The Vitamix process begins with the world’s most durable materials. Each premium component is an essential, strategically selected piece that extends the life and reliable performance of the entire machine. Motor – Vitamix engineers have fine-tuned each design to provide optimal power when you need it most—while blending. They design for horsepower while the machine is at work—not running with an empty container. Their cool-running motor extends the life of your machine, ensuring maximized uptime and return on investment. Blade – Only Vitamix uses a hardened, laser-cut, stainless-steel blade, ensuring that every edge is razor sharp and unlikely to rust over time. Their precise cut aligns with the metal grain, creating greater durability and strength upon impact. Each blade is assembled with two bearings for added stability, better blends, and longer life. Container – Vitamix containers are designed to minimize leakage from around the lid for clean operation and extended life of the base. Removable lid plugs allow ingredients to be added while processing, creating various textures in the same dish. All containers are backed by a one-year warranty. 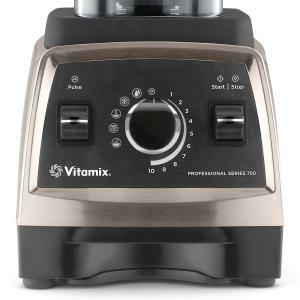 Electronics – Vitamix believes in striking a delicate balance between sophisticated electronics and simplicity of design. Complicated engineering tends to fail prematurely. They’ve kept their designs as streamlined as possible to ensure reliability, while still delivering pre-programmed settings you can trust. Airflow Channeling – Vitamix engineers have concentrated years of research and development into perfecting airflow circulation around the motor, precisely channeling a controlled amount of air to the places that need it most. The result is a quieter, more reliable motor that greatly reduces downtime and repair costs. Versatile. Refine all aspects of your menu regardless of size or variety. Award-Winning. 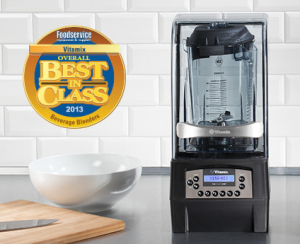 Vitamix swept all blender categories including overall best in class for the fifth straight year. Dependable. Highly reliable, standing the test of time. Which Vitamix unit is right for you? 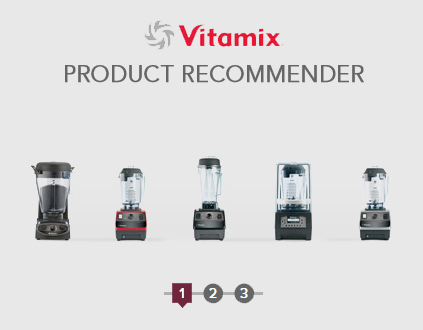 Start your search today with the Vitamix Product Recommender. Start by selecting your machine category. Rank your needs by feature. And find the unit for your specific needs.